LAOA TOOLS, Concern on quality - Worth to trust! If you have any questions, Please feel free to leave a message to us, and we will answer you quickly. 1.After receiving the parcel.If there is any quality problem, please contact us immediately. We will help you solve it. 2.If you are satisfied with our products.Please give us a good feedback. This is our biggest encouragement. Thanks a lot! CR-V steel, high rigid, high torque, good toughness. 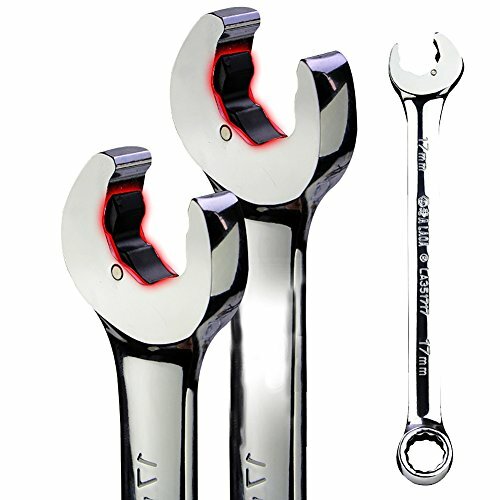 Open end ratcheting wrench, rapid, anti-slide and labor-saving, industrial quality. Product application field : Widely use in every area, bike/car/each machinery repair. Rigid reach to HRC48, over state standard 8HRC. Torque test is 1.3 times than American ANSI standard. Polish treatment for surface, wipe anti-rust oil, beautiful and elegant. Longer life ratchet rapid structure, More than 30000 times life. If you have any questions about this product by Laoa, contact us by completing and submitting the form below. If you are looking for a specif part number, please include it with your message.